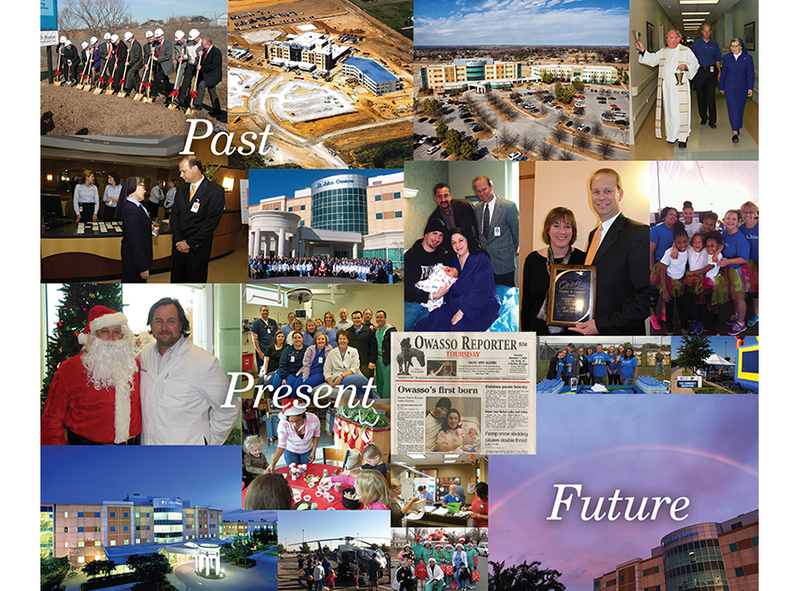 The hope for a local hospital came true when we opened St. John Owasso ten years ago. Since then, we’ve had the honor of serving the people of Owasso and its surrounding communities, giving them access to the region’s most talented physicians and medically advanced technology. In return, we’ve built relationships, cared for our neighbors, invested in our future as a community, and built a foundation for health that will only get stronger with every coming decade. We’re honored – and proud to call this our home. See below for a list of milestones from our first decade of service. February 11, 2005: Ceremonial groundbreaking for The Owasso Hospital, which would be later named St. John Owasso. Owasso Mayor Susan Kimball commented on the project, "A quality hospital has been a long-term goal of Owasso for many years. This confidence in our community and the commitment made by St. John fills a large piece of the puzzle in making Owasso one of Oklahoma's premier cities." September 17, 2006: Associates report for the first day of work at St. John Owasso. October 14, 2006: St. John Owasso hosts a community open house. November 27, 2006: St. John Owasso opens. The first patient is seen in the Emergency Department at 7:01 a.m. The ED saw 33 patients that day. December 5, 2006: The first baby is delivered at St. John Owasso by Martiann Bohl-Witchey, DO, with assistance from Guy Sneed, DO. Roman Xavier Krepps was born at 5:15 p.m., weighing 8 pounds 9 ounces. January 25, 2007: St. John Owasso receives the 2006 Community Impact Award from the Owasso Chamber of Commerce. The award recognized St. John not only for its $50 million investment in Owasso but also for building a state-of-the-art health care facility for the citizens of Owasso and northeastern Oklahoma, and for positively impacting the quality of life in its marketplace. November 27, 2007: St. John Owasso celebrates its 1st anniversary. Fall 2008: St. John Owasso’s services expand to include orthopedics, cardiology and ophthalmologic surgery. May 5, 2012: St. John Owasso treats its 100,000th patient in the Emergency Department. July 2013: St. John Owasso and Tulsa Bone & Joint Associates partner to become the exclusive sports medicine providers for Owasso Public Schools. October 12, 2013: St. John Owasso joins forces with Owasso Public Schools and Smith Farm Marketplace to present the Owasso Community Health Fair. The health fair has been presented every year since then, providing valuable health and wellness information to more than 1,000 area residents. December 26, 2014: St. John Owasso ED sees 108 patients. It’s their first time to treat more than 100 patients in a single day. November 27, 2016: St. John Owasso celebrates its 10th anniversary. Associates continue to faithfully serve residents of Owasso and the surrounding communities with medical excellence and compassionate care.